I thought that some members might be interested in how the Pipe Club started. 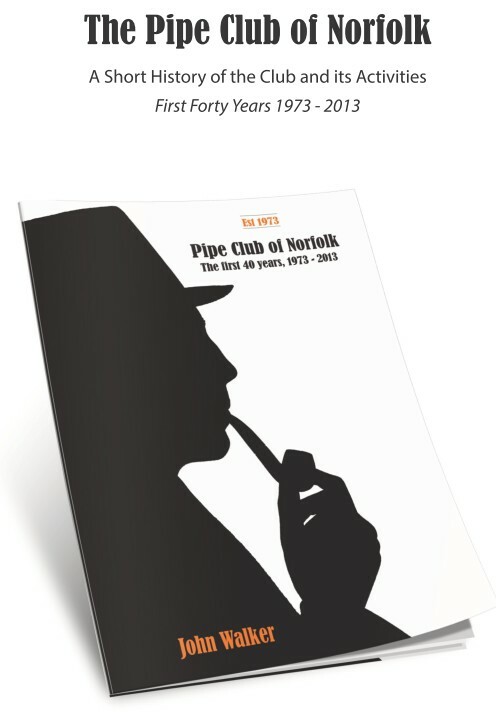 As I recall, it was around September 1973 that we heard rumours of a meeting for pipesmokers, to be held in Norwich. Sure enough, confirmation came through that the event would be held on 1 October 1973 in the Royal Hotel. With the promise of refreshments and perhaps a few free samples, and having nothing better to do that evening, I duly strolled along. Arriving a bit early, I was advised to hang around in the foyer until the others turned up. Whilst admiring the fading splendour of the tiled and wood-panelled walls, something rather exciting happened, for Valerie Singleton, celebrity and star of countless TV programmes, arrived to book in. I wondered if she would be the guest speaker, but this never materialised. She was probably merely appearing in some TV spectacular. After a while a decent crowd of pipesmokers had turned up and we were ushered into the Acanthus Room where, true to their word, refreshments were laid on. Eventually some cove introduced himself as an Officer of the Pipe Club of Great Britain. This organisation, he explained, had been formed with the aim of promoting pipesmoking throughout the land. To this end they had been travelling the country to set up pipe clubs in main centres of population. These clubs, whilst affiliated to PCGB, would otherwise be independent. They would hold contests and pipe-related activities to foster pipesmoking in their catchment area and their doings would be reported in the PCGB's glossy magazine Pipeline. A number of clubs had already been formed: would there be sufficient interest in Norwich? Well, no doubt the lavish hospitality had weaved its spell and enough showed interest for a club to be formed. A few worthies even volunteered themselves for office. I should perhaps add that Walker and I, being but callow youths at the time, eschewed such responsibility. The cove then explained that some clubs had adopted nicknames to add to the excitement. This brought forth a rash of suggestions, some of Norvic Puffers standard while others were more esoteric. Eventually a less contentious name was agreed upon - "Sweet Briars" after a particularly attractive part of the ring road. So ended what can be described as the vesting meeting. The first meeting proper took place on 27/11/1973 and was so full of incident that I can remember not a thing about it, not even where it was held. It would be interesting to know if records of that meeting still exist. One final thought: our Silver Jubilee pipes are inscribed 97. Did we celebrate it a year early, like the millennium? I have a record of that first meeting. It was held at the Iron Duke, Waterloo Road, Norwich. Thirteen members attended: Messrs. How, Coleman, Palmer, Reg Walker, Rule, Gormer, Fairrie, Struthers, Gaffer, Richardson, Mimms, Hall and Kenyon. The following officers were elected: Chairman GP Richardson, Secretary MR Palmer, Treasurer JS Struthers. The rules of the PCGB were read and signed by all members. The late Sir Alex Maxwell was elected club patron. The meeting closed at 2215 hours. As for the Jubilee pipes, it has always baffled me as well. The first PCN smoking contest was held in December 1973 and was won by M. Gormer (70 mins). At the same meeting we set the subscription at £1.20 per year. Contests came fast and furious in the following months: G Lowe managed 60 minutes in January 1974 and J Fairrie 76 minutes in February.